There is some misinformation or misunderstanding of the City of La Habra Heights Financial Management and Budget. I want to create an accurate record so that we can have a conversation based on facts, not personal opinion. 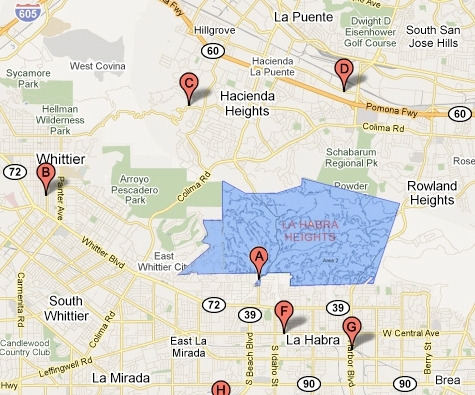 La Habra Heights has money in the bank ranging from $5 million to $6 million at any given time. That is our savings account or properly stated, our fund balance, which is often referred to as reserves. The city has income that fluctuates. For example, the biggest portion of income in the form of property taxes are received in two installments from Los Angeles County, usually January and June. There is other money that trickles in over time, e.g. sales taxes, business licenses, park rentals, etc. Our expenses remain fairly constant. At the beginning of the year we draw from our savings to pay our bills. The property taxes come in and we typically pay back more than we borrowed. The budget is a plan, a statement, on how we anticipate spending our annual income. Generally, we run even or with a yearly surplus and that money is put into savings at the end of the year. We attempt to keep our savings account as high as possible, using it only for one-time expenditures, emergencies or to smooth out cash flow. We might spend our savings for a major purchase such as fire dorms, whereas other cities would pay over a period of time through a bond or loan. We attempt not to burden future councils or residents with outstanding debt or interest payments. There are times when we want to pay for something that is not in the budget. An example of this is the decision to prepay our insurance obligations with CalJPIA in order to receive $18,000 in savings. The $18,000 in hand was more valuable than having the money in the bank, as the interest rate on deposited money would not achieve that level. Some vocal residents refer to this as deficit spending. They are incorrect. Most cities are challenged with very serious budget deficits as the economy has been difficult. I don’t know of any other city in California that has savings larger than an entire year’s budget. Most cities have a savings of about 5% of the annual budget. La Habra Heights has 100% of its budget set aside in savings. A city’s finances are in deficit only when they have to borrow to get to the end of the year. We don’t have to do that.